Prickly Pear cactus bloom amongst the sandstone outcrops along the Colorado River just outside of Moab, Utah. Prickly pear cactus typically bloom in early May in this portion of the Colorado Plateau. 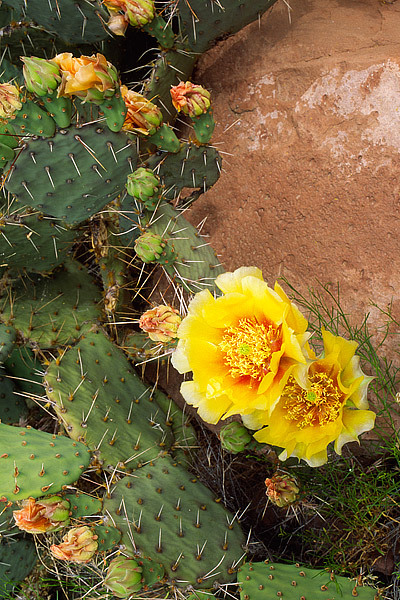 The bright yellow flower of the prickly pear helps add a splash of color to this desert landscape. Photo © copyright by Thomas Mangan.